6 Facts About Christmas You Never Knew! Christmas – there's a lot more to it than just decorating a tree and unwrapping gifts! As an age-old celebration, there are centuries worth of tradition and meaning behind it. We're willing to bet that there are a few things that you didn't know about Christmas. They may come in handy for the next game of Trivia with your friends or family! Every year, letters to Santa flood post offices around the world. Some Canadian Post Office workers even started answering them! But as more letters started pouring in, the wonderful folks at the Great White North set up a special ZIP code for Santa. What is it you ask? And made so by the Protestants themselves! In 1647, Christmas was declared illegal in England by the Puritan-led English parliament as the holiday was associated with revelry and merrymaking. They considered Christmas immoral and unbiblical, instead replacing it with a day of fasting (booooring 😐) This obviously caused a good amount of conflict, and it wasn't until 1660 that the ban was lifted with the restoration of the English monarchy. When the Puritans arrived in the New World, they brought along their disdain for Christmas. Since Christmas was considered to be too merry, the holiday went on to be officially outlawed in Massachusetts in 1659, where the Puritans settled. The ban was revoked in 1681 by an English appointed governor, but it wasn't until almost another century later that Christmas became an official holiday! Food historians believe that gingerbread was first baked in Europe at the end of the 11th century, when returning crusaders brought along the custom of spicy bread from the Middle East. The gingerbread we know today was first shaped into different forms by monks in Franconia, Germany in the 13th century. Skilled bakers were sought after to create complicated gingerbread art, thus spreading the custom across Europe. But what about the art of gingerbread houses? It started in Germany in the early 1800s, thanks to the well-known Grimm's fairy tale, Hansel and Gretel! (Remember that part where the two abandoned children found an edible house made of bread and sugar decorations?) After the book was published, German bakers start creating ornamented gingerbread houses. There's no other confection that captures the holiday spirit quite like the gingerbread house. 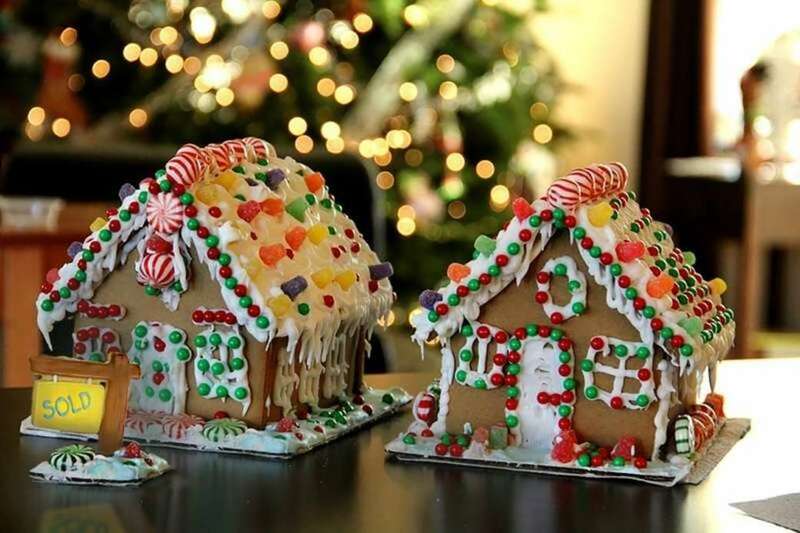 What if we told you that you could learn how to bake your very own gingerbread house together with your loved ones, right here in Singapore? 😍 In this hands-on experience, you will do just that exactly!